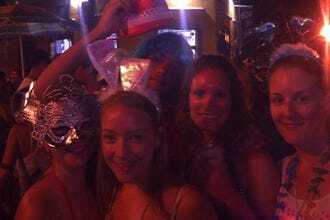 Lucy says, Don't leave Rio de Janeiro without strolling the historic streets of Santa Teresa and checking out the crazy nightlife of nearby Lapa. Catching a soccer game at Rio de Janeiro’s mighty Maracana Stadium is reason enough to celebrate and the vibrant atmosphere on match days will really fire up the party spirit. Whether it’s a major international game or a local derby, soccer matches at Maracana mean singing, dancing and samba drums. And while the immediate vicinity of the stadium is not recommended for after-dark exploring (and bars within one kilometer of the stadium are banned from selling alcohol in the hours before a game), the Maracana is just a quick metro ride from the lively nightlife of Lapa, where an enormous street party unfolds on weekends and holidays. 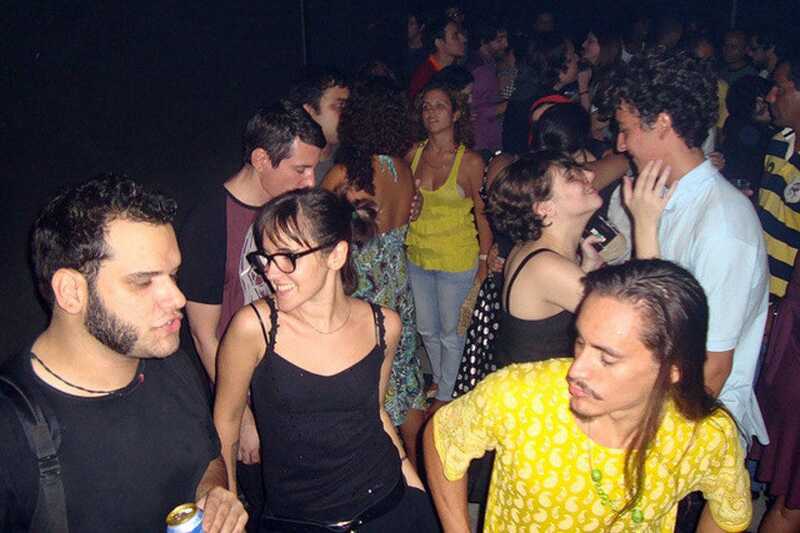 Hip bars such as Leviano and Barzinho are popular spots with a young and funky crowd, while for live music and dancing look no further than classic samba spots Clube dos Democraticos, Carioca da Gema and Rio Scenarium. If Lapa is a little too lively for your tastes, grab a cab up to the nearby Santa Teresa neighborhood, where cosy bars attract large crowds on weekend evenings for caipirinha-assisted socialising at popular spots such as Bar do Gomez and Bar do Mineiro. The name translates as 'little bar', but this lively Lapa hangout packs a lot into its less than palatial layout. Regular events such as samba and feijoada afternoons on the first Saturday of the month, and vinyl-only DJ marathons on Tuesday evenings make this a top spot for those who take their music seriously, while the pumping electro that soundtracks Friday and Saturday nights at Barzinho ensure that the bar attracts a hipped up, clubby crowd. 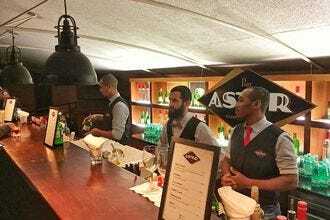 Like most drinking dens in Rio, food has a major part to play, too, and the menu here offers some tasty takes on traditional bar snacks such as pasteis (little stuffed pastries) which here come filled with a mix of flavorsome cheeses. It's open well into the early hours most nights of the week, and the funky decor gives a nightclub-esque vibe to this small space. Rio is synonymous with samba, and the city's historical downtown district of Lapa should be the first port of call for anybody looking to hear the real thing played live. At Rio Scenarium, the kooky factor is ramped up to 11 thanks to the fact that this vast venue for samba shows is also a storage space for antiques and film props, so fascinating costumes, masks and other historical artefacts form the backdrop to the dancing, eating and drinking. Even if you have two left feet it is worth a visit here just to see the highy skilled locals show how samba dancing should be done, and there's a restaurant serving sit-down meals for those who just want to take in the show. if you like your nightlife with an alternative, leftfield edge, Casa da Matriz should be your first port of call when looking for a night out in Rio. 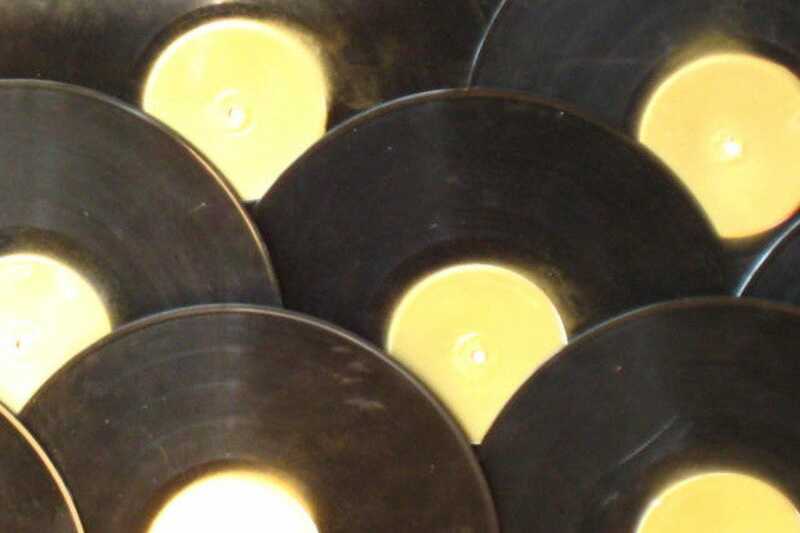 DJs at Casa Matriz spin an eclectic mix of tunes that takes in everything from 1960s Tropicalia to 1990s hip hop, via punk, funk and soul, and the place throngs with students and other hip young things at weekends. There's even an 'indie karaoke' night where you can sing along to the likes of joy Division and the Smiths. Live performers sometimes get a look in too, and run the gamut from samba to punk. Samba lovers of all ages flock to this downtown dance house, where the fleet of foot and supple of rump shimmy and shake around the dance floor. 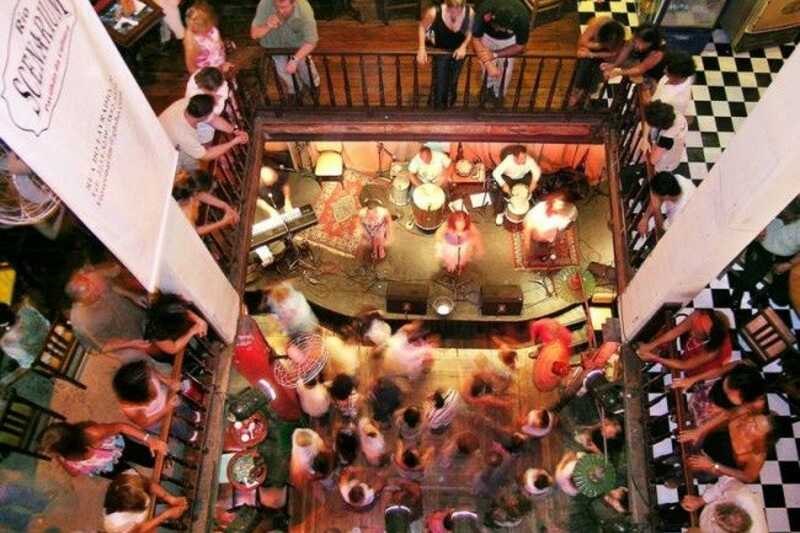 The club is housed in a tall and handsome colonial building, with a balcony overlooking the crowded streets of Lapa - perfect for people-watching and catching a breath of fresh air before you carry on your dance-athon. If you don't feel confident to take to the floor yourself, just admire the locals' skill and sip on a caipirinha until the Dutch courage kicks in. 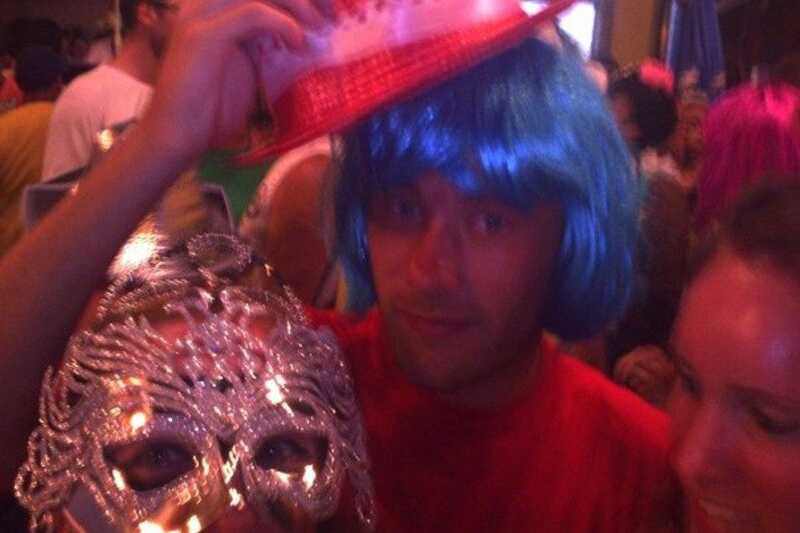 It is largely assumed that foreigners can't dance, so nobody will judge too harshly. In the historic heart of Lapa, this reformed colonial mansion home has received a colorful makeover with illuminated artworks on the brick walls, vibrantly-colored cocktails and an equally bright and breezy playlist. An eclectic musical menu takes in electro-heavy club nights, more gentile jazz-fests and live samba sessions, and downstairs dancefloors are packed well into the small hours almost every night of the week. A mezzanine balcony provides ample space for sipping drinks and chatting - should you be able to make yourself heard over the pumping music. Alongside an extensive cocktail list, some tempting finger food. Groups of friends may want to opt for the mixed platter, which includes tasty finger foods such as rosemary and garlic breadsticks, focaccia, sundried tomato paste and little oven-baked pastries. 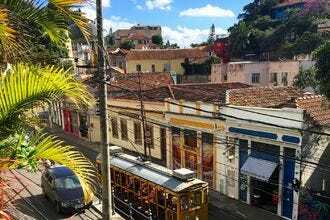 With a prime location on the main drinking and dining strip in leafy, artsy Santa Teresa, Bar do Mineiro is the focal point for the neighborhood's famously lively social scene. As the name suggests, the menu bears the culinary influences of the owner, a 'Mineiro' (native of Minas Gerais) who over the years has built up a loyal fanbase drawn to his hearty plates of meaty dishes. For a lighter snack, the portions of 'pasteis' (small, deepfried pastries filled with cheese, meat, beans or shrimp) are widely considered to be among the best in the city. But it's the lively atmosphere that is the real draw here, with locals and visitors gathering here to eat, drink and chat well into the night. An eye-catching - if somewhat weather-beaten - art deco building is the setting for some of the longest-standing samba parties in Rio at this much-loved venue. Clube dos Democraticos was founded over a century ago as a carnival society uniting musicians, dancers and others imbued with carnival spirit. Today, the club continues to attract live music lovers, with regular samba sessions packing out the vast dancefloor. For a change of musical scene, it's worth checking out the Wednesday night Forro sessions - this popular weekly event is a great place to get aquainted with this sultry musical style from Brazil's northeast. And if you can't dance a step, don't worry - the fleet-footed locals will be happy to show you a move or two. This Santa Teresa bar-restaurant was opened by a family of Spanish settlers in Brazil in 1919, when it doubled as a grocery store. 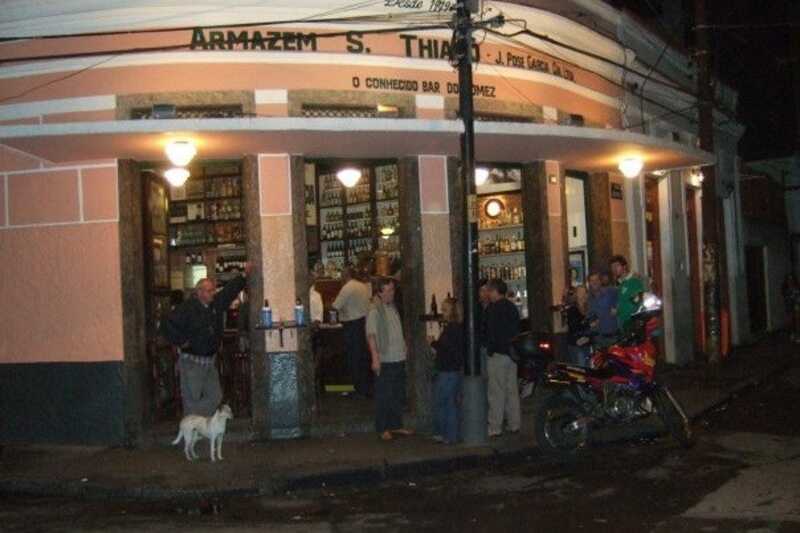 The official name, Armazem Sao Thiago references this, but for decades this most inviting of watering holes has been affectionately known as Bar do Gomez in honor of the affable owner. 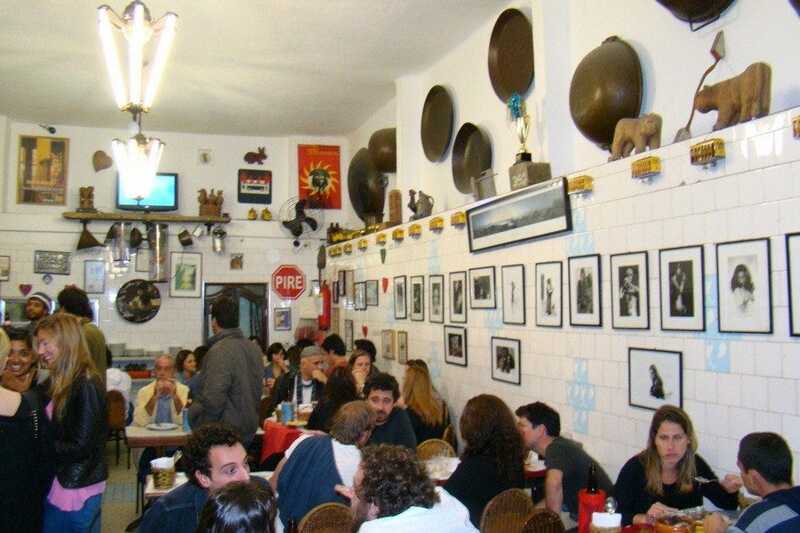 Visually, little has changed here over the years, and it maintains a historic charm that makes it one of the best-loved botecos (bar-restaurants) in Rio. Along with an extensive list of bar snacks and nibbles, there are some good sandwiches and main meals on offer - including hearty plates of grilled meat with salad, rice, beans and fries. Wash it down with a cold draught beer or one of the 60 types of cachaca on offer. Along with the beaches, the Christ statue and Sugar Loaf mountain, another postcard-perfect image of Rio are the mammoth white arches that stand in city's historic center. 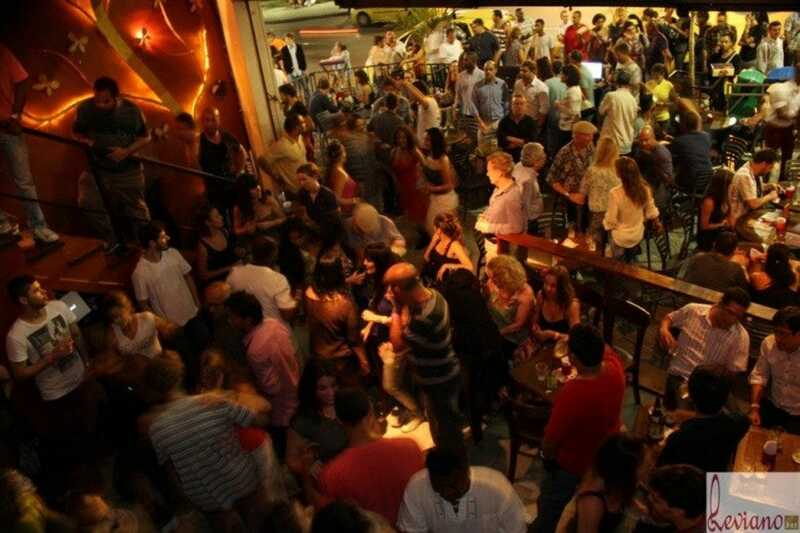 At night, revelers gather below the arches as a huge street party unfurls - head here on a Friday night to see Rio's party spirit at its liveliest. The area around the arches is taken over by hundreds of stalls selling all manner of tempting treats to eat and drink, from fresh-baked pizzas and beers to Northeastern acaraje and fruity-but-potent cocktails. 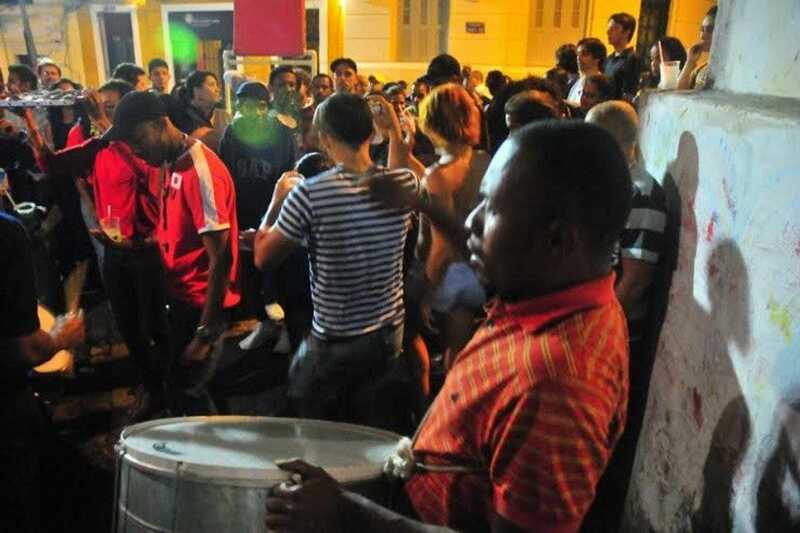 Surrounded by bars and clubs pumping out everything from hip hop and favela funk to samba and pagode, the Arcos da Lapa are the starting point for many a memorable night out in Rio. Bars in the immediate vicinity of the Maracana Stadium tend to be few-frills local hangouts, and Papo Inicial is no exception, but stands out from the competition for its caipiles - or alcoholic popsicles. 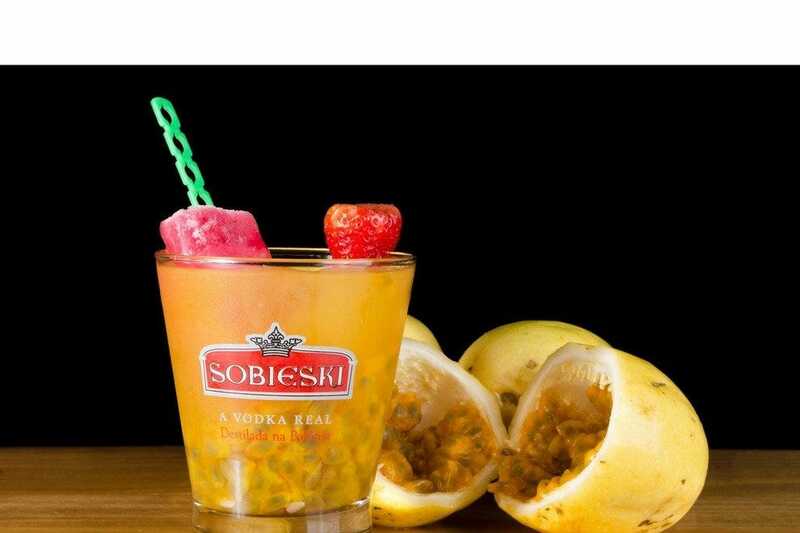 Made with fruit and vodka or sugar cane rum, the caipile has been a recent trend in searingly hot Rio, and comes to the fore during Carnival, when it helps many a sweat-drenched reveler keep their cool. Usually sold from cool boxes from street vendors, the caipile at Papo Incicial has been a bit hit with customers, who also appreciate the impressive range of traditional bar snacks. The bar also serves some heartier main meals, and occasionally ventures away from standard Brazilian fare with themed international dishes. Regular promotions ensure a steady flow of customers, and there's always a good vibe on Friday evenings when the post-work arrives.